Dr. Alyssa Newman is a family practitioner offering health care for all ages. 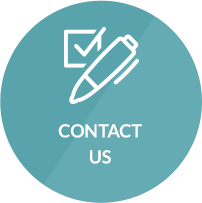 We listen, we care and are here to help you succeed in your goals without long-term care plans required. Same-day appointments are available so contact us today. Center Point Chiropractor Welcomes You! Experience a listening ear, caring attitude and helpful manner with Center Point Chiropractor Dr. Alyssa Newman. 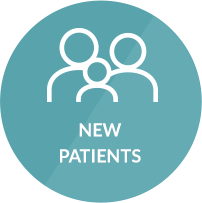 At Cedar Ridge Family Chiropractic, you’ll receive the highest possible quality of health care while being treated like a member of our family. Dr. Alyssa and her family are excited to be a part of the Center Point, Urbana, Toddville, and Alburnett communities. All ages are welcome at our office, from babies up to senior citizens. Each person has unique needs, and we work tirelessly to understand yours and determine how best to assist you. Some of our youngest patients have issues such as colic or ear infections. Adults are subject to aches and pains like headaches and sciatica from sitting at a desk or performing repetitive tasks. Our senior patients often are seeking to live more active lifestyles, and we help them implement the changes they want. With expertise in many techniques, Dr. Alyssa has several different ways to help you express your body’s full potential for health. She has undertaken extra studies in methods such as trigger point therapy, Thompson and Flexion-Distraction to better help you. 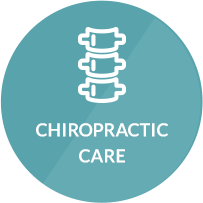 Your chiropractic care is based on exactly what will work for you, and we don’t believe in requiring long care plans or recommending unnecessary visits. Advanced technology is available such as digital X-rays and electronic health records, simplifying your appointments so they’re easy for you and we have all necessary information at our fingertips. Get the guidance and support you need to succeed in your goals. Contact us today to book your time with Dr. Alyssa, Chiropractor Center Point! Dr. Alyssa is a very caring Dr. of Chiropractic. She took the time to explain to me what she was going to do and why she was going to do it. She is very knowledgeable in her field. Thanks for getting me in so quickly! My back and neck feel a thousand times better! The doctor is very sweet and caring! I felt amazing the following day! My back and neck have been hurting throughout the whole summer and fall from my job that I really needed fixed and Dr. Newman helped! Dr. Alyssa was very sweet and great at explaining everything that was going on and what she was planning to do. I would definitely recommend her! Great experience! With routine visits, my chronic neck pain is so much more tolerable than before my 1st appointment. Thank you for taking the time for my adjustment instead of the usual crack and go like so many other places! Appreciate the prompt visit as a walk in. Alyssa is a very kind and caring person. It was also was nice she provides manual versus actuator adjustments. Thank you! Blessed to have Dr. Newman adjust me. You can’t ask for a nicer person and she definitely got me fixed up.